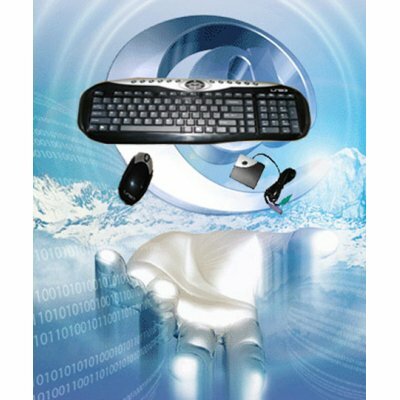 Successfully Added Wireless Keyboard + Wireless Optical Mouse Set to your Shopping Cart. Wireless Multimedia Keyboard + Wireless Optical Mouse - at Below Wholesale Prices. Utilizing 27MHz RF technology, this wireless keyboard and mouse set is designed to be compact, convenient and portable with the goal of eliminating troublesome desktop cables and maximizing your work space at anytime and anywhere. It's a great companion to Media Center PCs and Home Theater PCs, as well as to replace your normal desktop PC keyboard and mouse. Use the online checkout comments box to choose between available colors: Light Grey / Pink - come on, who wouldn't want a Pink Keyboard? Simple Installation - PS/2 wireless receiver doesn't need drivers for basic keyboard/ mouse operation.